Diamondback Tactical 3-9x40 is rated 4.7 out of 5 by 16. 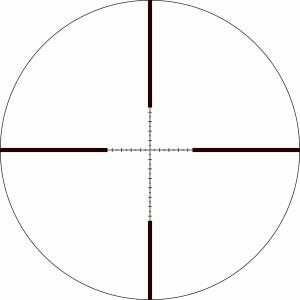 Subtension detail for the Diamondback riflescope with reticle. Rated 5 out of 5 by Winchester947 from The easiest scope to sight in. I purchased a vortex diamondback tactical scope on Black Friday 2016. I sighted it in at 50 yards because I was having trouble getting my other scopes on paper. At that range I held three round high and left at 1:00. After I made my adjustments, I fired 3 more rounds and was dead on. I moved my target back to 100 yards I fired my second group. Still right where I wanted it. I made my second adjustment to be two inches high at 100. Needless to say I filled my tags in the first week of rifle season. I am very happy with Vortex scopes. I plan on buying more to replace the scopes I have on my other rifles. Thank you Vortex for a great product. Rated 5 out of 5 by Rob from Absolutely worth it! Bought a Savage Model 11 T in .233Rem. It came with a Nikon 3-9x40 BDC Scope. Took the Rifle Coyote hunting 2 weeks ago. With Winchester Silvertip 55gr I achieved a group of 1.56IN at 50M. I didn't get a shot that weekend on a yote. But I knew the gun was better. I ordered the Diamondback Tactical w/ VMR-1 Reticle. Today with crud weather conditions and same ammo, Winchester Silvertip 55gr, my 50M zero was tighter than a dime. My group at 100M was 0.78IN. There isn't a safe coyote in the county now. The scope was effortless to zero. And I have no doubt that this gun/round/scope package is the best I have in my safe. I absolutely love it. Rated 5 out of 5 by Walsh17 from World class optics Bought this having owned a viper pst. This is as clear and bright.perfect for my .223.Vortex are the only glass anyone should consider.corrections made through the turrets are perfect.field of view bright clear with a precise reticle for hold overs in second focal plane.easily zeroed turrets with no need for a tool.vortex are the only optics I will ever purchase.I've recommended to family and friends.this is my second vortex but not my last. I'm in the military and have shot long range with other top end optics but vortex far exceeds them and with a realistic price tag to match. One word to describe vortex , , , precision !!!!! Rated 5 out of 5 by Frosty from Loving it so far... tomorrow is the real test. Just mounted my DB Tactical 3-9x40 (SFP) this morning. Looks great. Can't wait to get it on the range tomorrow. Appears to be a quality scope with nice, tight tolerances. Love the VRM-1 MOA reticle. Also purchased the optional 4" sunshade. The pic is with the sunshade on. Turrets are nice and easily visible for an old man like me. I love everything about this scope so far. Will get it in the ballpark with a laser bore sight tonight, then head to the range tomorrow. Feeling proud to be a new member to The Vortex Nation! Thanks Vortex!!! Rated 5 out of 5 by sm reaper from Best Deer scope I've owned! Best and crisp lens, been beaten around in the woods and still holds it Zero. Vortex for life. Rated 4 out of 5 by scott from Great product robust and takes a beating Use this on my deer rifle great scope and easy to use. Rated 5 out of 5 by Notwende from I finally found my perfect scope! Last week I bought an ISSC SPA TAU .22 lr and since it had quite a price tag I decided to buy a decent scope for it. I settled for this scope after reading many reviews and talking with a local dealer about it. Only after I bought this scope I realzied how perfectly it fits to my needs. You see, being a European it's a real pain calculating with MILS and MOA - even worse if you've got a Mildot-reticle and MOA-turrets on one scope. Translating all these measurements to meaninful metric numbers drives me nuts. Now it's all very easy with this scope since it has a MOA-reticle and MOA-turrets. Now I 'm just picking a distance for zeroing the rifle (e.g. 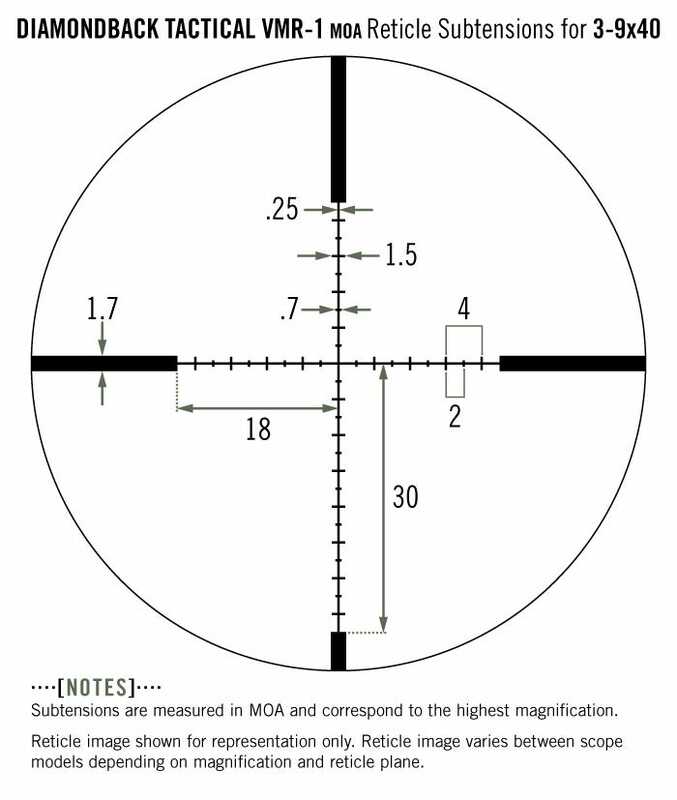 70 meters) and whenever I need to shoot to, say 100 Meters I just use the maximum magnification and measure in MOA the new POI and with the MOA-turrets i simply dial in the correction and note it in my dope book. No need for headache-calculations anymore! Rated 5 out of 5 by Tuber from Worked at 1000 yards! Used this at a long ranged shooting class. The turrets made dialing 1000 yards quick and simple. Target was an 18 inch silhouette target. Once I dialed in, got 3 out of 5 shots. Rifle was just a basic Ruger American. When asked to switch to the 660 yard challenge target (8 inch) made the turret adjustment and hit on the first shot. Awesome!